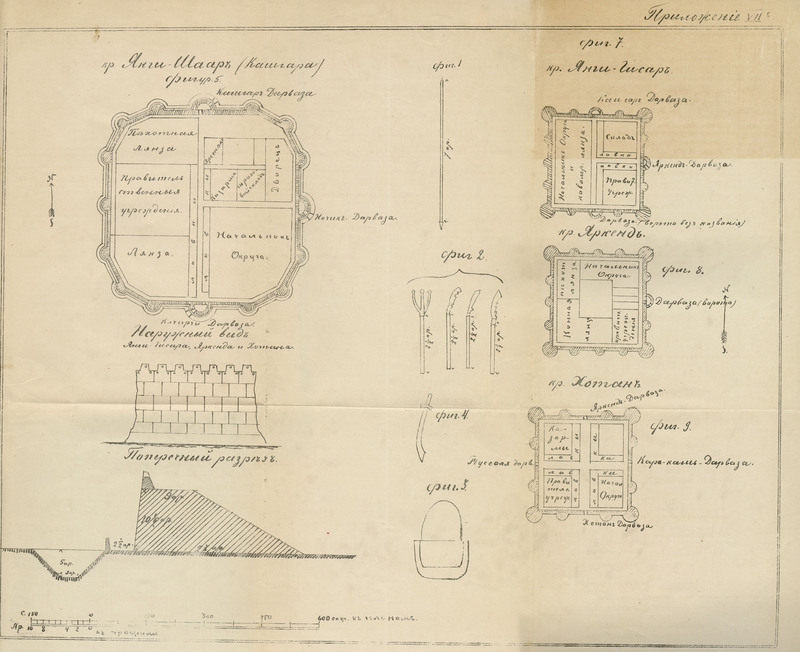 This book was a secret report written by the Tsarist Russian lieutenant Bronislav Gronbchevskiy (alternative spellings Grombchevskiy and Gromchevskiy), ethnically a Pole from present-day Lithuania. 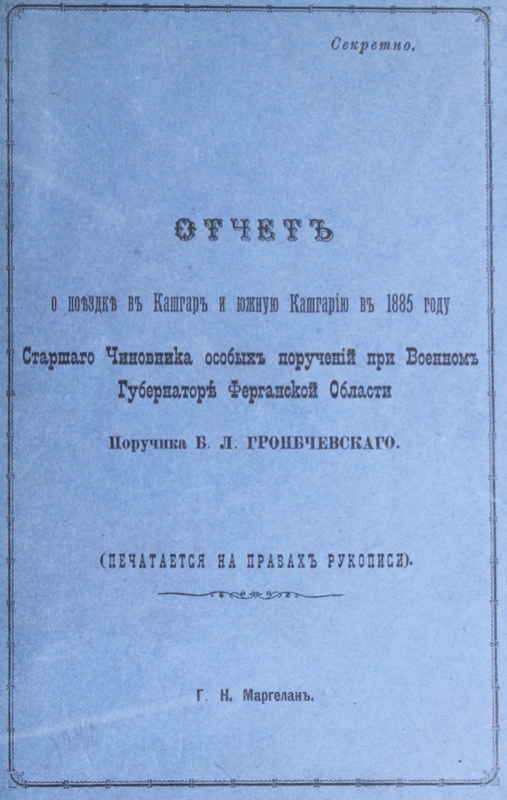 The report was completed after an expedition to the Kashgar region in 1885 and printed in Marghilan some time thereafter. It is a survey of topography, infrastructures, fortifications and other military arrangements as well as public administration in the Chinese Kashgaria province. 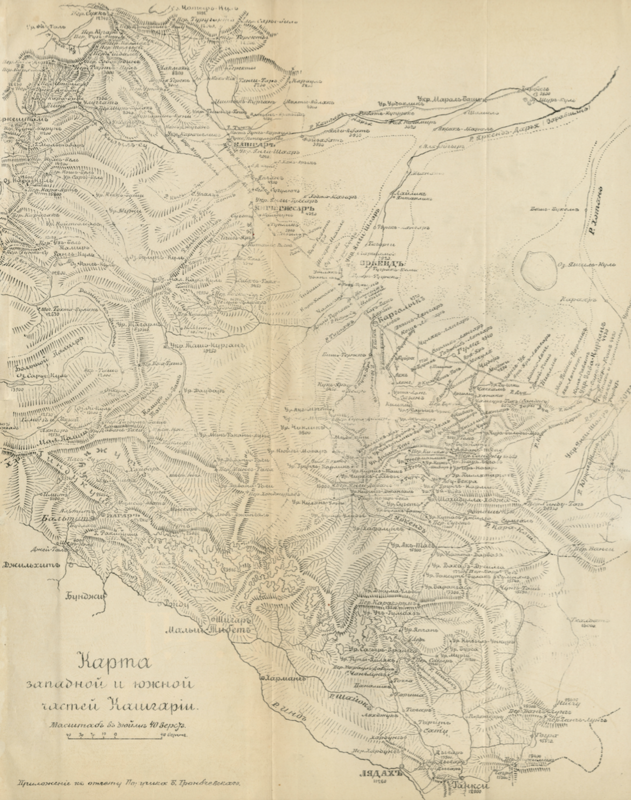 British agents and their activities in the region are commented on at some length, and special attention is drawn to the Khanate of Kunjut (Hunza), situated on the southern slopes of the Hindu Kush Mountain Range and considered by the author to be of strategic importance for the Russian Empire. Two drawings are attached at the end of the book – one depicting sections and ports of the cities of Kashgar, Yangi Hisar, Yarkand, and Khotan and the other showing a map of the south-western part of Kashgaria.